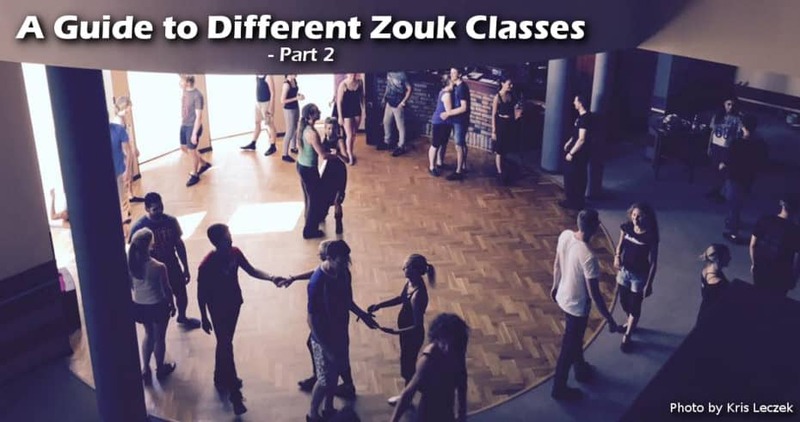 This is part 2 of 4 of ‘A Guide to Different Types of Zouk Classes’. Click here to read part 1 if you’ve not read it yet. In this series of blogs, I’ll share my thoughts on various learning methods, comparing the different class types and who they may be most suitable for. My Definition: Bootcamps are very structured and can range from being taught over a single weekend to a whole month. With smaller weekend Bootcamps focus on deep diving into a particular set of topics and longer curriculums progressively linking together all different aspect of dancing. Class sizes can be limited to ensure you receive adequate attention from the teachers throughout the training period. Most of the Bootcamps I’ve been to, work very hard to balance the gender ratio to promote equal development for leads and follows. Taught by: Typically top professionals and world-renowned dance artists. Who is this suitable for? Depending on the intended audience, some Bootcamps are designed for complete beginners, some for experienced and some for a mixture of all levels. Who this not suitable for? Depends on the above. Personally, all the Bootcamps I’ve attended required you know how to lead or follow already. Discipline & commitment required: High, for it to be highly effective. You’ll be spending a lot on traveling and spend entire weekends or weeks away. My Comments: I love these Bootcamps so much! They are by far one of the most incredible experiences and bang for my buck! I find these the amazing value for money versus knowledge, progression and experience gained. The bonus & gravy from doing Bootcamps are the controlled class size, which gives the chance to bond with nearly everyone. Bootcamps gives me the chance to dance and practice with some truly amazing dancers from around the world, both in terms of passion and ability. Everyone is so humble and keen to learn which creates a resonating effect on each other. This is one of my ideal learning environment, the perfect balance between fun and challenges. Is it time to UNLOCK YOUR FULL POTENTIAL?! My Definition: A completely new & unique learning concept by creating the perfect learning environment. ZoukDanceCamps are engineered to be effective small-sized workshops to help you nurture & discover breakthrough’s in your dances. There is no rotation of partners during workshops, class sizes are 13-16 couples maximum, strict level control by having pre-requisites requirements to join, recommended couples signup with single signup option, 5 days or longer and full-board all-inclusive package. All ZoukdanceCamps are held in Poland. You will find the programmes are very well structured, including planned details of the topics beforehand. There is also time allowance made for open topics where teachers feel the need to fill in student knowledge gaps. A typical day consists of two 2 hours workshops, each with 1.5 hours of teachers assisted practices. There will also be time for additional non-assisted practices where you can swap partners and practice with others. The pace of the ZoukDanceCamps is much slower than typical bootcamps because it’s the focus on learning & refining techniques there and then. Instead of take-away new information with typical Bootcamps, you’ll be taking away working techniques with ZoukDanceCamp. It is designed NOT to be intensive and should never be confused as an intensive course. It is worth spending the time to read their homepage and FAQ to fully understand how it works. The disadvantage of such an effective learning programme is that it will exceed the cost budget for some students. However, the biggest advantage is also saving money in the mid-long term because of the time & money you will save outweigh your initial investment by far to reach your dance goals in a much shorter time frame. Taught by: Top professionals and world-renowned dance artists. Who is this suitable for? This is perfect for keen learners who are looking for the right environment to rapidly grow! Some ZoukDanceCamps are designed for improvers / experienced / teachers / professionals. Who this not suitable for? Depends on the above. However, this is not suitable for complete beginners. It is also not for students on a tight budget due to the costs to deliver fully packaged, all-inclusive learning programmes. Discipline & commitment required: For the highly disciplined and those with burning passion to learn Brazilian Zouk dance in a structured manner. This is perfect for keen learners who are looking for the right environment to rapidly grow! You’ll get to explore Poland where our ZoukDanceCamp are held while spending up to a week away. My Definition: Simple enough to explain. Privates are generally 1:1 but can also be 1:2 or 2:2 with paired instructors. Taught by: Zouk enthusiasts to top professionals and world-renowned dance artists. Who is this suitable for? Everyone. Who this not suitable for? Someone who is on a tight budget. My Comments: Privates are essential for constant development and growth, it’s very rare that I’ve met an outstanding dancer who hadn’t taken any privates before. The cost may seem astronomical per hour, but if you do your calculation correctly, it actually works out to be very cost effective. Say you participate in one weekly class every week that costs you £10. Each class is an hour long and you get 2 sessions that evening. So that’s 2 hours for £10 = £5 per hour. Assume the class size is 20 people. You have 2 teachers teaching you. So if the teacher splits their attention to half the class, then that’s 10 people per teacher. In 1 hour, that teacher can spread their attention to 10 people (usually unequally), so that would be an average of 6 minutes of actual teacher’s attention to you for £5. Now, let us convert this to an hourly cost for easy comparison since most privates are charged per 60mins. 60mins / 6min = 10 units, therefore £5 x 10 units = £50 per hour is the real value you’re actually paying for undivided attention in group classes! To get the most out of the privates, you should probably go in there knowing what you want to focus on. If you don’t, then you may just want to have a dance or two with the teacher during the private to identify your weakest points and what to focus on to give you the most improvement. Most of my privates are always back to basics and correcting my axis, posture and weight shifting, with very little to do with actual leading and following. I had to learn how to move my own body correctly first, before trying to move with a partner. Currently, I’ve been dancing Zouk for 5 years (3.5 years of actual Zouk learning) and I still utilise privates every 6 months with different international teachers as a dance health check; such as, if I’ve resolved previous bad habits and identify any new ones because it’s easy to pick up bad habits at any time.